The Turkish defence news publication C4Defence reports that Tusaş Engine Industries (TEI) has reportedly completed development of its PD170 turboprop engine meant for the Turkish Aerospace Industries (TAI) Anka medium-altitude long-endurance (MALE) unmanned aerial vehicle (UAV). The Turkish Undersecretariat of Defence Industries (SSM) commissioned TEI to develop the PD170 in 2012 as part of the Turkish government’s drive to indigenize the supply of defence hardware. The PD170 has a top speed of 170 hp (at up to 20,000 ft) and weight of 170 kg. It will provide the Anka UAV a flight ceiling of 40,000 ft. With development complete, TEI will proceed to supply the PD170 to TAI for integration and testing with the Anka UAV. Engine and civil certification will be complete in 2018. As per C4Defence, the PD170 is 5 kg heavier than the Anka’s current powerplant, but it will improve the Anka’s power-to-weight ratio thanks to its higher power output than the existing engine. The TAI Anka had its maiden test flight in 2010. In 2013, the Turkish government awarded TAI a contract to supply 10 Anka-A UAVs to the Turkish Armed Forces (TSK). In April 2017, TAI successfully weaponized the Anka with the Roketsan MAM-L and CİRİT. In July, the Anka was deployed in combat. The TSK will also begin receiving the satellite communication (SATCOM)-capable Anka-S. 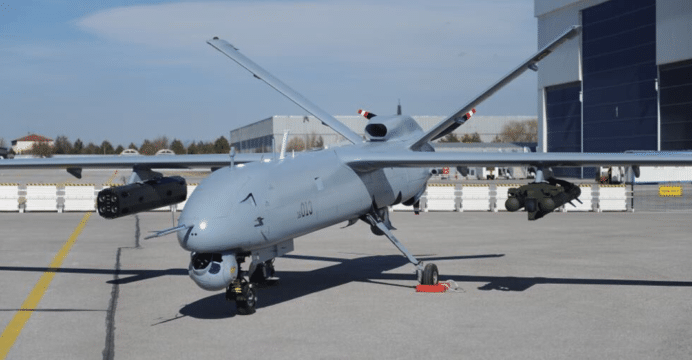 The TSK will be able to operate the Anka-S at beyond line-of-sight (BLOS) range. The availability of the PD170 provides Turkey with a complete turnkey base for producing the Anka UAV, which already benefits from the domestic supply of electronics – including electro-optical and infrared (EO/IR) sensors – and guided air-to-surface munitions. The PD170 will also place Turkey in the position to offer the Anka for export, which could be an opportunity in Middle East and Central Asian markets, which have largely been dominated by the Chinese (in armed drone sales).